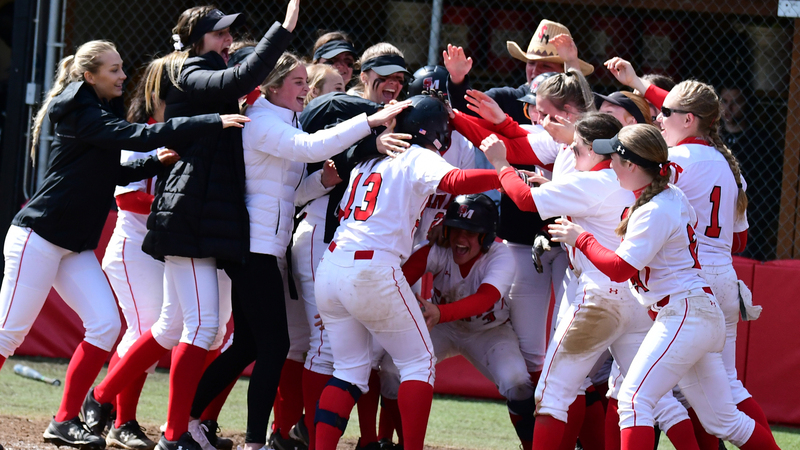 Thanks to a pair of gutsy seventh-inning rallies on the road, the Saint Martin’s University softball team heads into the final stretch of the regular season very much in contention for one of the four berths into the Great Northwest Athletic Conference tournament. 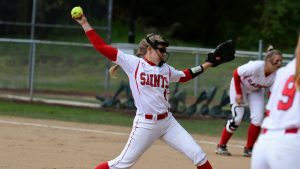 With very little room for error if they want to extend their season, the Saints (19-20) will host conference-leading Central Washington University in its final home stand on Friday, April 19. The first game of the double header will have a 1:00 p.m. first pitch with the second game starting approximately 30 minutes after the completion of the first game. SMU will close out the regular season on the road, beginning with two games in Ellensburg against the Wildcats (24-12) on Saturday, April 20. The Saints will then play a double header at Western Oregon University (23-12) on April 27 before heading to Portland, Oregon, to play a pair of games against Concordia University (21-18) on April 28. 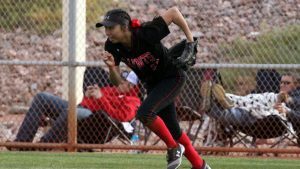 Western Oregon swept SMU on March 25 in Hillsboro, Oregon, winning 11-7 and 6-5. Those setbacks came two days after Concordia bested the Saints 12-0 and 7-0 in the squad’s first two meetings this season. Western Washington (13-7), Western Oregon (12-8), Concordia (12-8 GNAC), Northwest Nazarene (10-10), and Saint Martin’s (9-11) are all within striking distance of the conference’s final three postseason slots. Central Washington enters the last two weeks of the regular season tops in the GNAC with a record of 16-3. The Saints are looking to make a return trip to the GNAC tournament following a one-year hiatus. SMU saw its streak of five consecutive postseason appearances snapped last season. The Saints won the GNAC tournament in 2013, posting a program-record 41-16 record before losing in the NCAA Division II Western Region tournament to Humboldt State University. The Saints are placed offensively by Diuco, senior shortstop Sabrina Hicks and sophomores Devyn Connolly (.351 batting average) and Emery Norwood (.337). Diuco, a four-year starter in the outfield, has a team-high 40 hits and is eighth in the GNAC with a .370 batting average. Hicks is the team leader in runs (29), home runs (7), and RBI (37) while hitting .307. She is also fourth in the GNAC in runs scored and fifth in both homers and RBI. Junior pitcher Brandi Schoessler, a transfer from Walla Walla Community College where she was a NFCA first team All-American last year, has been stellar in the circle during her first season with the Saints. Schoessler (16-6, 3.86 ERA) is tied with Western Washington University’s Makinlee Sellevold for the GNAC leader in wins. She is also first in appearances (29), games finished (16), games in relief (19), and fifth in strikeouts with 61. Saint Martin’s is still in the GNAC tournament conversation due in large part to two thrilling comebacks at Northwest Nazarene. The Saints split its four games against the Nighthawks during their trip to Nampa, Idaho, April 12-13. Trailing 3-1 in the seventh in inning in the opening game on April 12, SMU pushed three runners across in the final frame with juniors Emily Thornton and Kylie Lopez each driving in a run during the 4-3 triumph. Saint Martin’s faced an even larger deficit in the second game against Northwest Nazarene on April 14, falling behind 4-0 before rallying once again in the seventh to win 6-4. The Saints received RBI from Norwood, Kylee Vanderbout, Trinity Favela, Regan Byrd, and Lopez, while Schoessler picked up the save to salvage the much-needed series split. 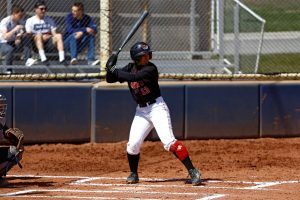 Senior Lauren Diuco became just the eighth player in the history of the Saint Martin’s University softball program to collect 200 career hits during the Saint’s 6-4 win over Western Washington University on April 6. Diuco, a three-time all-GNAC selection, currently has 204 career hits. She is 16 hits shy of passing Jenkins Taviah (2012-2015) for fifth on the list and 19 away from surpassing Lindsay Miller (2015-2018) for fourth place. Sam Munger (2012-2015) is SMU’s all-time career hit leader with 294. Diuco also ranks fifth on the team in career batting average, hitting .355 (204-575) for her career with eight regular season games remaining.